From birth, babies begin to amass quite a health record. All of the check-ups, tests, vaccinations and general growth charts over the first few years of a child’s life can really add up. Having all of this incredibly important information in one easy-to-understand format is a necessity for any thriving pediatric practice. Storing this information electronically seems like a no-brainer, but the way this data is electronically stored, organized and managed by the computer system deserves careful attention. Using a Pediatric E.H.R. that can be updated in real time and creates helpful reports is essential. Imagine being unable to see the most up-to-date information about a young patient in an emergency situation. Having the information needed right at everyone’s fingertips at a moment’s notice is essential to avoid what could potentially be a very scary situation. A Pediatric E.H.R. system that you can trust and that everyone in the practice can work with is crucial to the health of these young patients. Another highly important aspect of electronic records is being able to create and run reports. The ability to quickly deduce which medications or vaccinations you need to order for upcoming appointments can be as simple as a click of the mouse. By keeping good records of inventory and how much is used each week, reports from Pediatric E.H.R. can forecast quick and accurate information pertaining to what usage will be needed and when. The team that has access to electronic records will come with many different skill sets and levels. Having a system that works on all of these levels and is easy to use but hard to make mistakes with will avoid confusion when staff rotates. 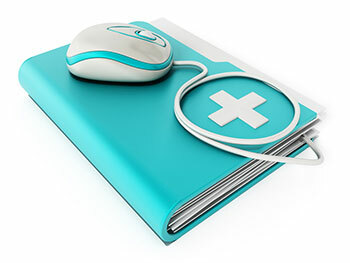 Knowing you can trust the computer system to keep important data secure and readily available will result in fewer errors and happier, healthy patients. Looking for a Simple to Use, Full-Featured Pediatric EHR?